Being one of the larger islands in the Mediterranean, Cyprus is a pretty diverse and gorgeous island to explore. 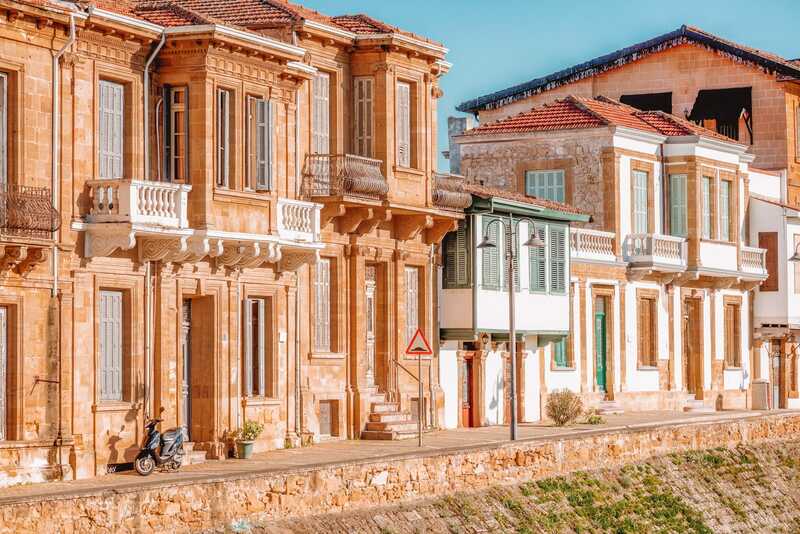 Perched on the eastern side of Europe (just south of Turkey), there’s a whole heap of gorgeous and best places in Cyprus that you really shouldn’t miss. And you know what, that’s the thing I loved about Cyprus on my last visit… it’s much more diverse than some people think. In some ways, I felt like Cyprus has similar vibes to the gorgeous Greek islands, but it also has a huge amount of history that reminded me of the cities in Croatia. That’s the thing, I suppose, about an island with such a long history – it has a shed load of influences that have shaped it to this day. Now, If it’s your first time to Cyprus, don’t just think your trip needs to be about sun, sea and sand. 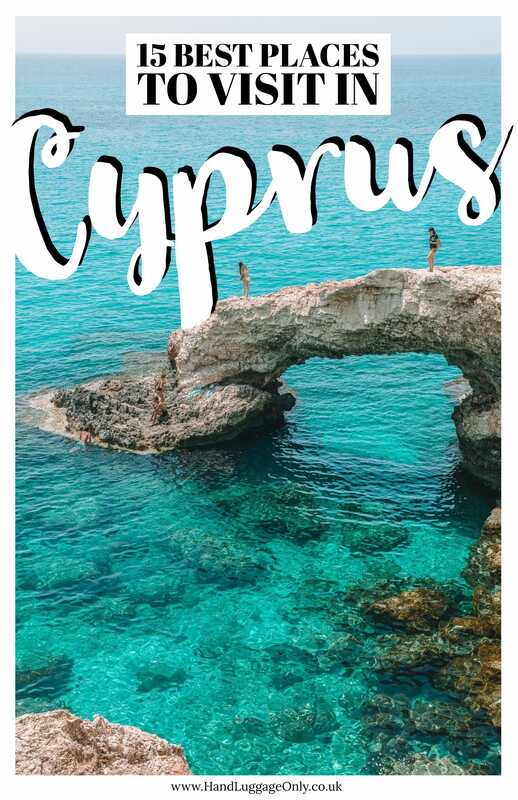 Yeah, these are all great (provided you slap on that sunblock) but make sure to spend time exploring the best places in Cyprus to experience island life, too. 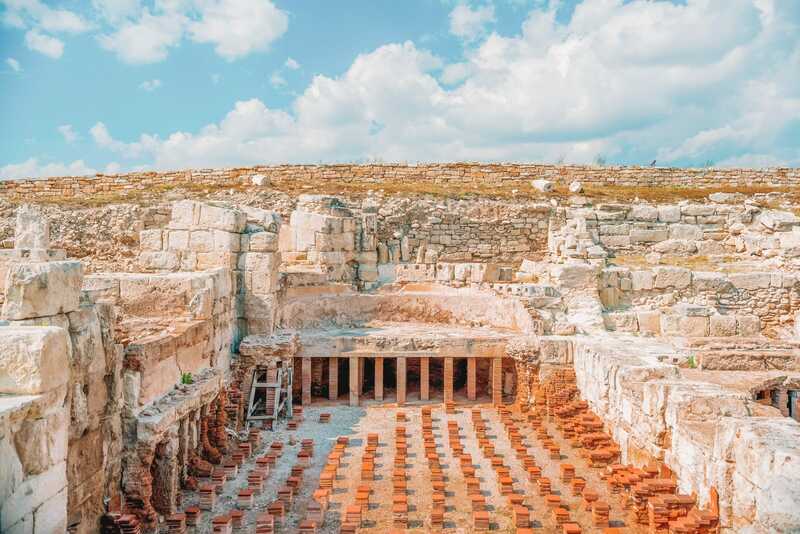 This is why I wanted to share, with you, some of my favourite stops from my trip over to Cyprus. Once here, make sure to wander around the little cobbled streets, head to some of the wineries and spot the 500-year-old wine press, too. 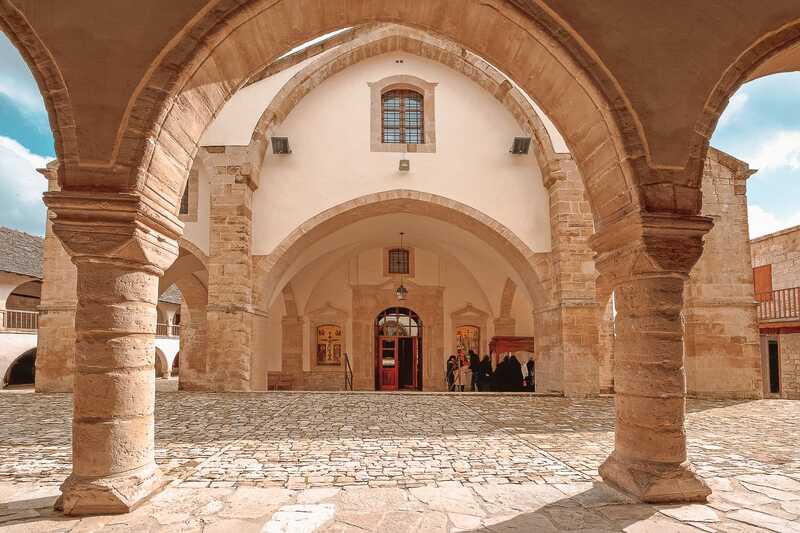 If you’re not fond of the grape varieties, head away from the wine and you explore the Monastery of the Holy Cross. It’s is one of the islands oldest and historically important religious sites and well worth visiting if you’ve got time. Oh, and if you’re visiting in Summer, try to coincide your trip with the annual wine festival they hold each August in Omodos. Just make sure to have a designated driver. You will be tipsy! 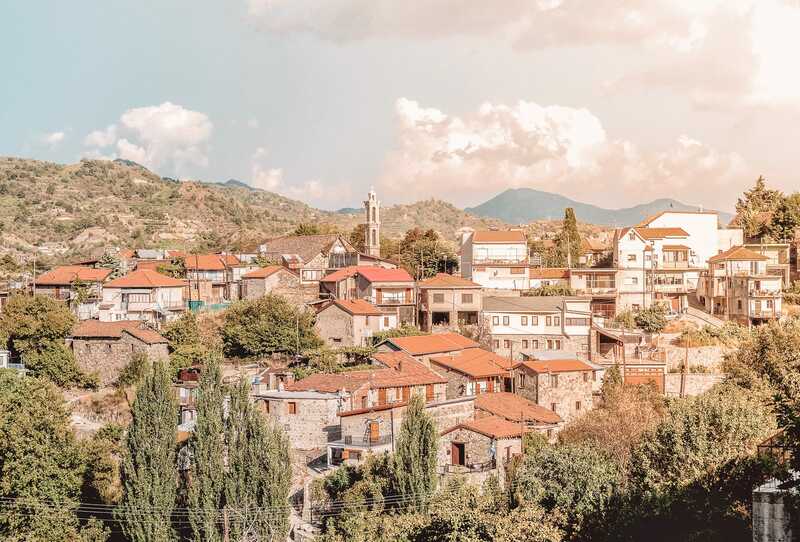 The village of Platres is in an almost ideal location if you want a little slice of history and some gorgeous natural landscapes. 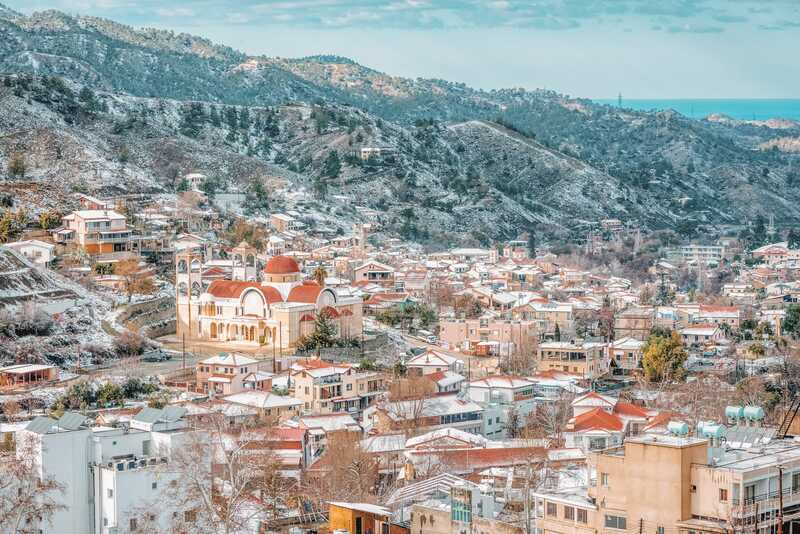 Now, being in the Troödos Mountains, it can actually be a little cooler than the coastal regions of Cyprus. This makes it the perfect respite from that intense summer heat. 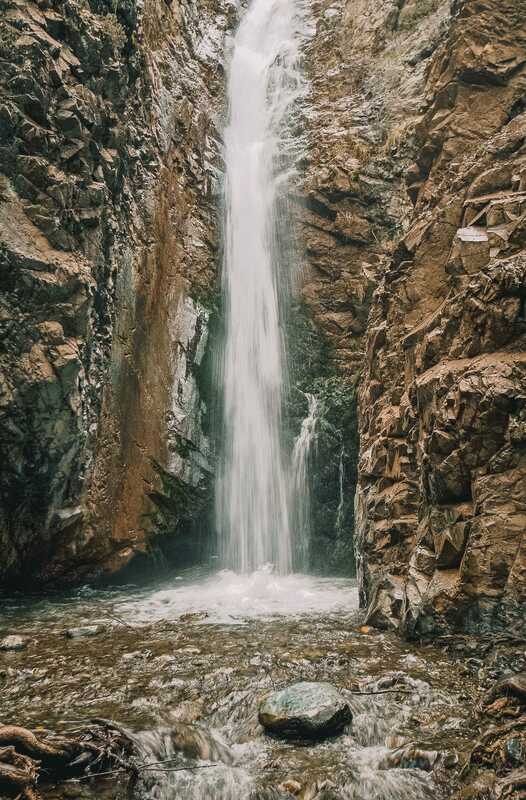 Once you’re here, make sure to explore the relatively close, Millomeris Waterfalls, take the Caledonia trail to Caledonia Waterfalls and finish off with a visit to the Trooditissa monastery. If you’re heading here for a day trip, make sure to partner it with Omodos too. They’re both relatively close to each other and can easily be done in a day. Ayia Napa can have something of a bad rep – which if you’re not into partying in summer, you can easily see why. 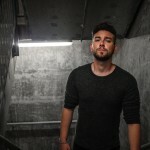 Ayia Napa has become one of the bigger party spots in Europe and easily one of the best places in Cyprus to visit if you want a night out and clubs. That being said, that’s not all that Ayia Napa is, especially in the quieter winter months. 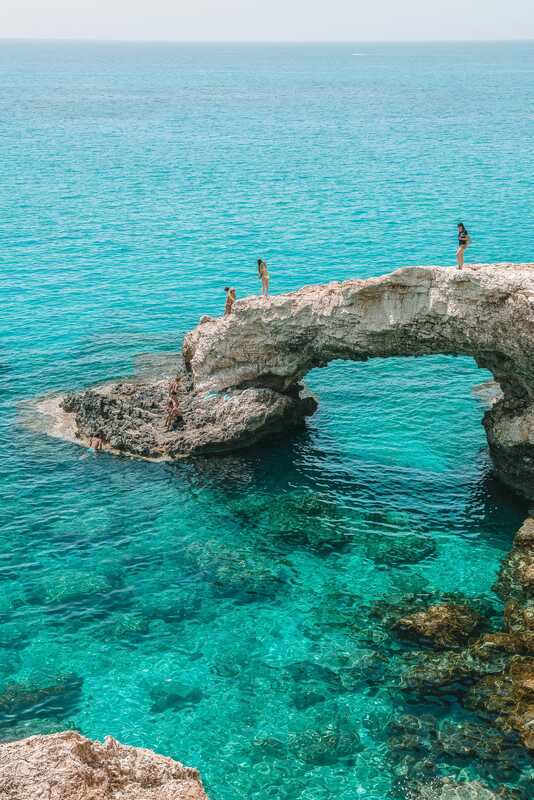 Once here, make sure to wander around the Blue Lagoon, chillout at Nissi Beach and find the sea caves that are all across the coast. Just make sure to stop off at Love Bridge, too. Oh, also, one of the best places in Cyrpus for views is from Cape Greco National Forest Park, which has a vista all across the coastline. For a gorgeous place to rest your head, check into the Grecian Park Hotel near Konnos Bay Beach. Kakopetria is one of the highest villages in the Solea Valley and easily up there as one of the best places in Cyprus to explore. Whether it’s true or not, Kakopetria is still a gorgeous place to visit, that’s for sure. 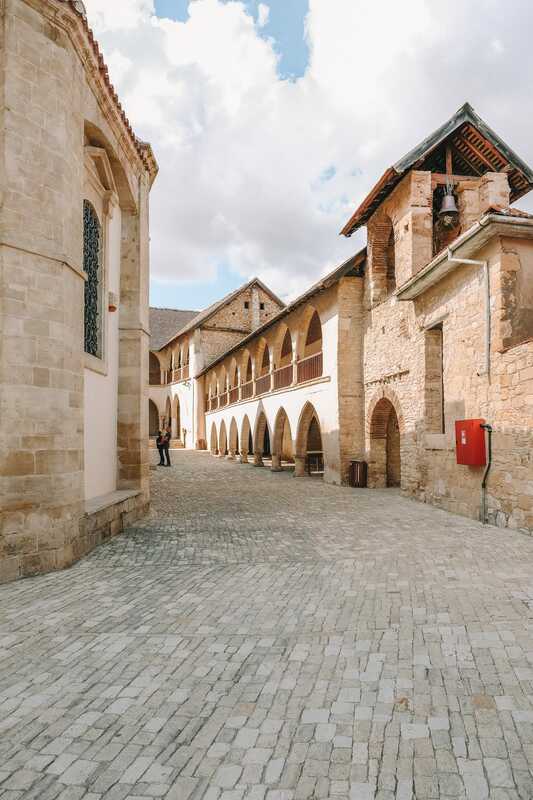 Make sure to explore the medieval quarter and winding streets of the stone house. 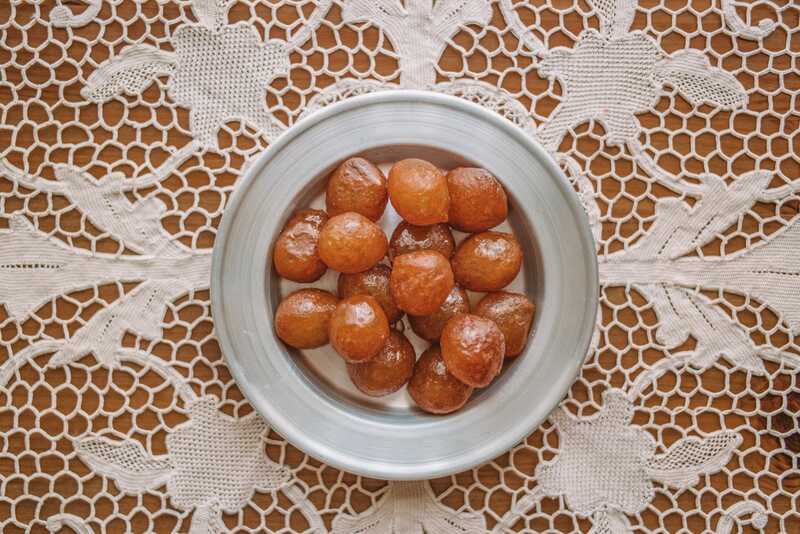 Plus, In the village square, you should try out the traditional syrup doughnuts known locally as Loukoumades. 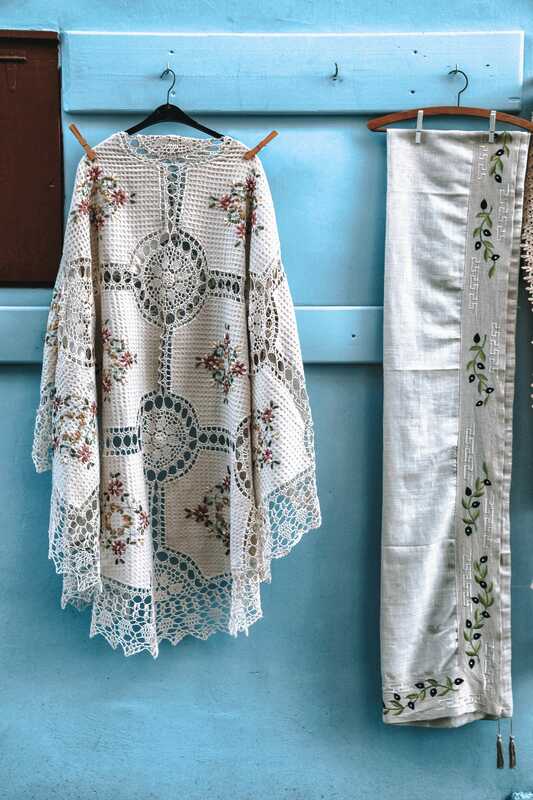 Probably one of the most famous areas for lace in Cyprus, the region of Lefkara (and the village) is one of the best places in Cyprus to spend a relaxing afternoon. 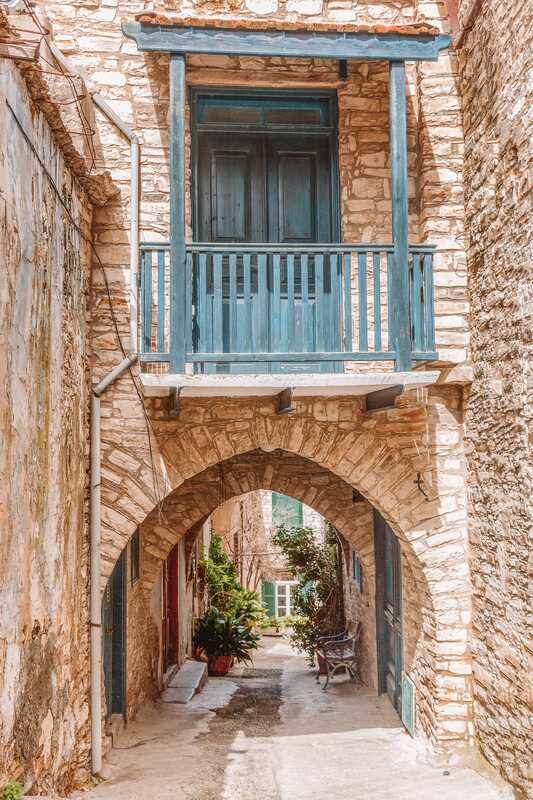 Made up of quaint cobbled streets, Lefkara is possibly one of the prettiest villages to see when you’re on the island. Plus, apparently, Leonardo da Vinci actually headed to Lefkara in the 15th Century, on a mission to get the best lace cloth for the Duomo di Milano. Even to this day, you can still head into the local producers and grab some cloth, too. 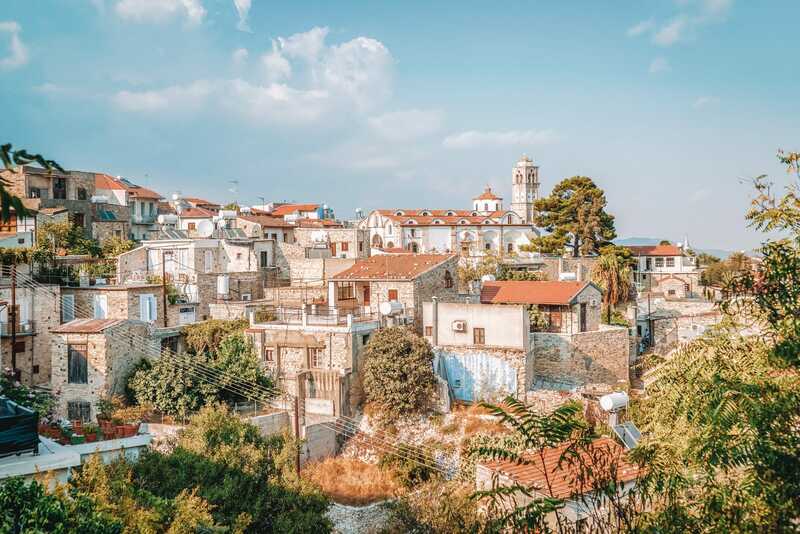 Nestled within the Limassol District, Lofou is a tiny little village that’s perfect to explore if you want some chill time. Though don’t be fooled by its size, it’s still crammed with a shed load of history. 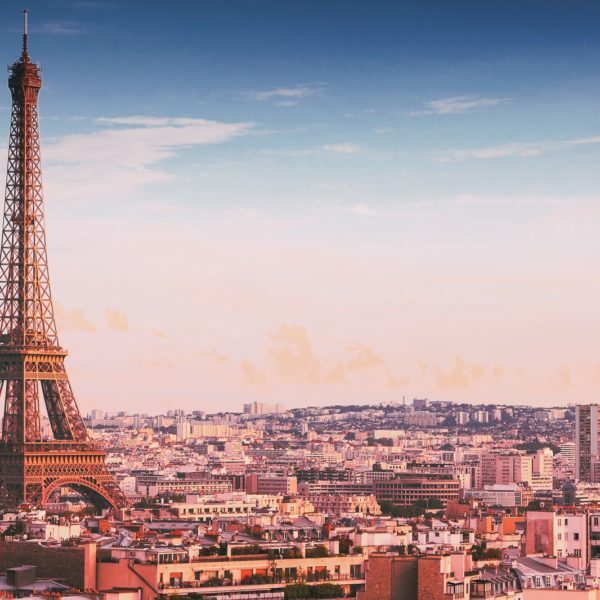 Make sure to wander around the village, take in some of the walking trails or partner a stop to the village with some of the local vineyards that are famed in this area. If you can, plan to visit on the last Sunday of September when the Palouze Festival happens. It really is a special day and the village comes alive! Perched in Eastern Cyprus, Protaras is one of the larger towns that has plenty of hotels and restaurants along the coast. As I mentioned before, it’s not too far from Ayia Napa and easy to visit if you’re in the area. 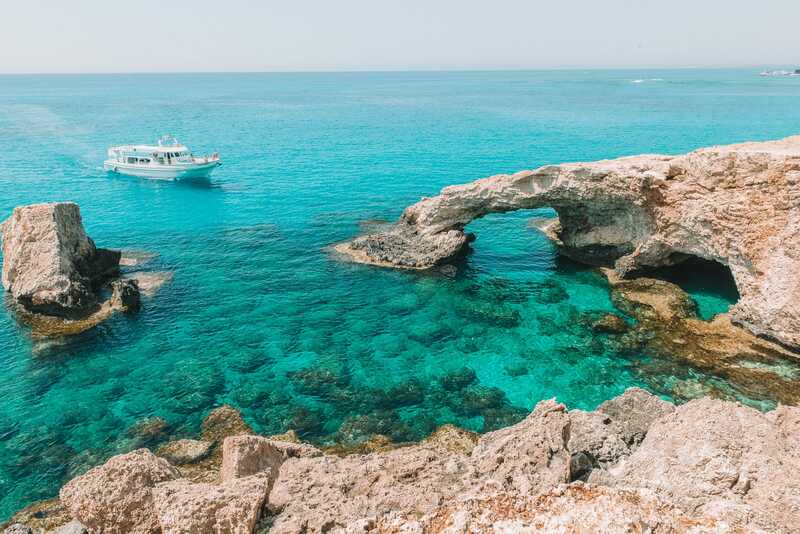 Once here, make sure to explore the Church of Profitis Elias, enjoy Fig Tree Bay and head out snorkelling or scuba diving with a guide. There are a few different wrecks (like the Zenobia Wreck) which are really easy to visit with a professional. Also, for some yummy Cypriot food, pop into Kafkaros Tavern for lunch. They always have a fresh catch of the day. 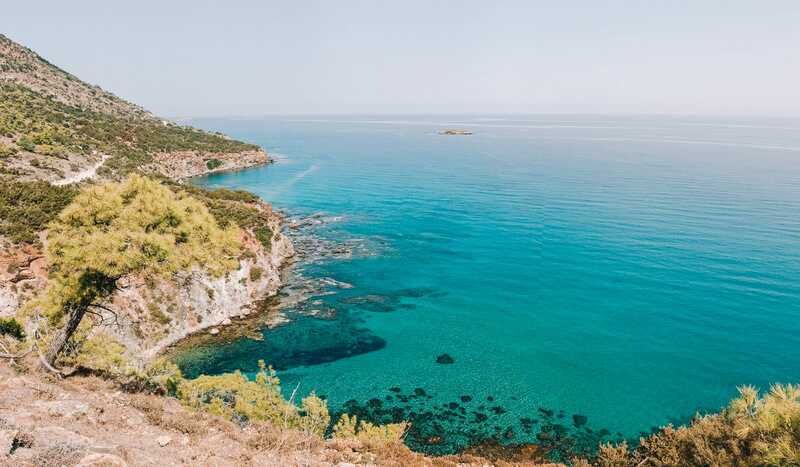 Perched on top of the cliffs, overlooking Croal Bay, Pegeia is one of the best places in Cyprus to visit if you’re looking for a smaller town. Now, Pegeia itself has lots of newer buildings and is quite sprawling. This means it can be quite hard to find a definitive centre where you can hop between restaurants and taverns. 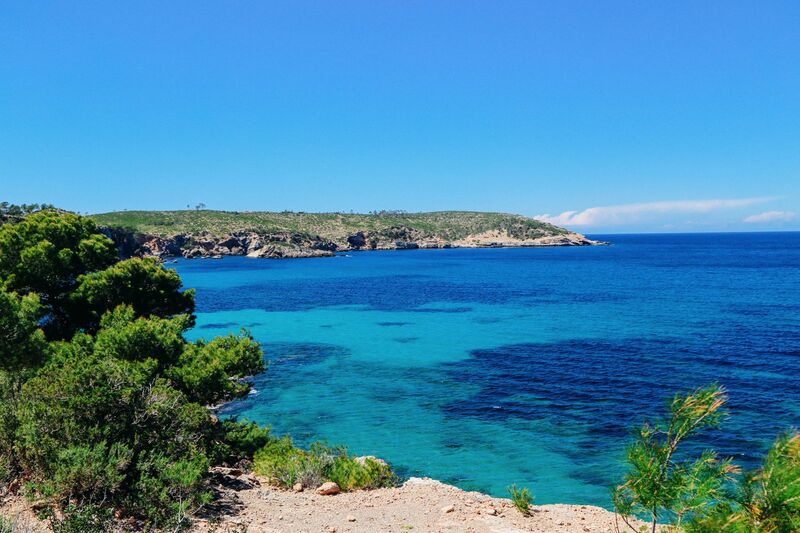 Though, don’t let that put you off, if you choose your hotel wisely, you can get some incredible views over the cliffs and Coral Bay. Now, if you do plan to stay in Pegeia, it’s the kind of place you really do need a car, especially if you want to explore some of the historical sites that are less than an hour from the town. For instance, Kykkos monastery is only about 20km away but it’s essential to have a car (or transfer) for this. 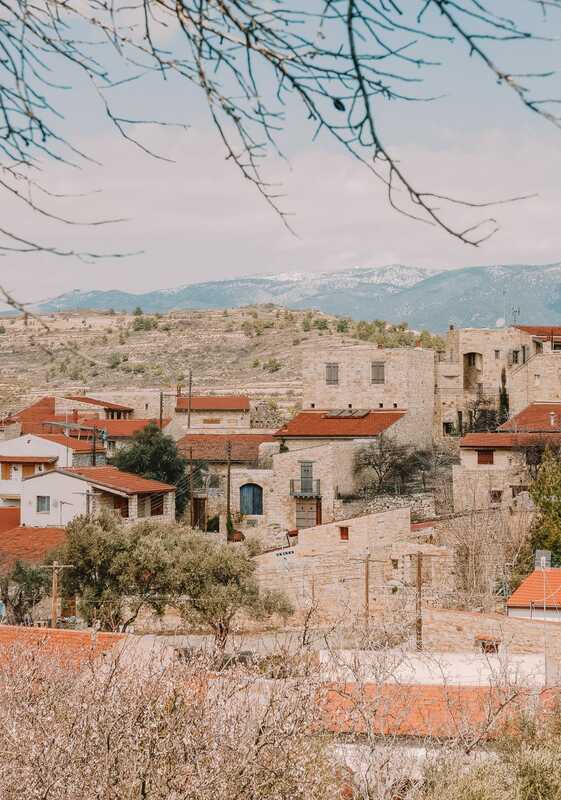 Nestled within the North West of the island, Polis is one of the best places in Cyprus to visit if you want a quieter trip. Once here, make sure to explore the Akamas peninsula nature reserve close by and wander across the trails. It is one of the few untouched areas of the island where you can hike along the Adonis nature trail. That being said, if you’re more of a beach bum, pop over to Latsi beach. Now, although it’s about a 40-minute drive from Polis, make sure to also visit the stunning Avakas Gorge. 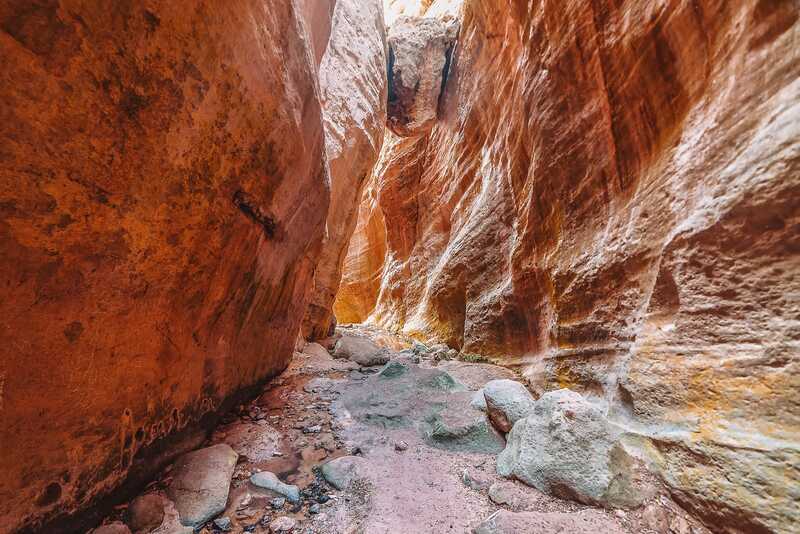 Now, the trek is generally a bit hard on the feet, make sure to wear good walking boots (waterproof) or sandals as you’ll be walking over all manner of uneven terrain and streams. In ancient times, the village of Pervolia was a resting place for kings and the wealthy. Nowadays, you don’t need to be royalty to chill out here. Once you arrive, make sure to explore the Pervolia Lighthouse, see the Tower of Regaena (around 500 years old) and gorge in one of the local taverns. Plus, don’t forget the Agios Leontios church dating back to the 16th Century. That being said, if you want some sun, sea and sand then chillout at Faros Beach. 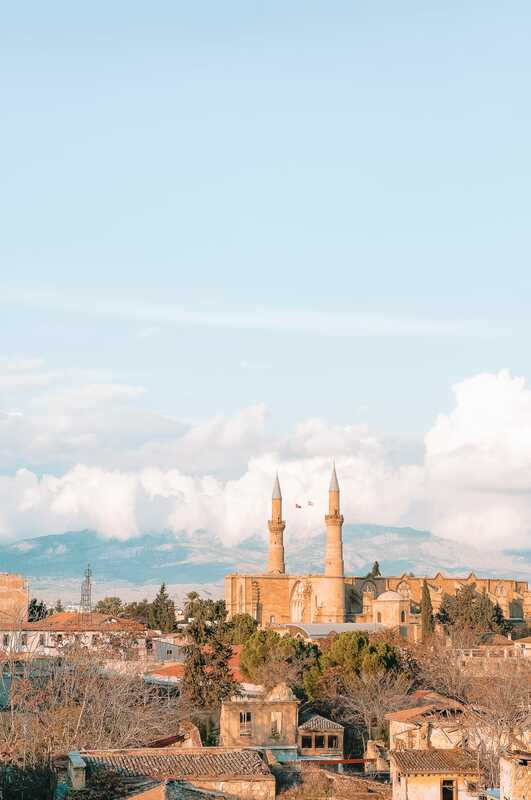 Being the largest city on the island, Nicosia is one of the best places in Cyprus to visit if you want a real taste of Cypriot life. 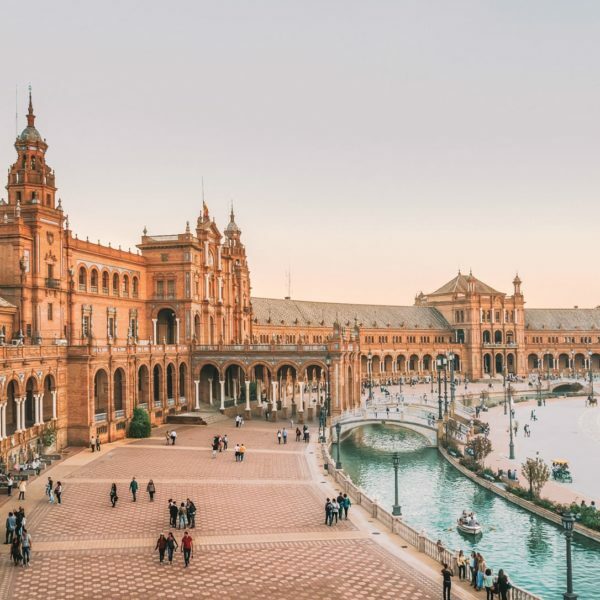 Now, the city itself has thousands of years of history and there’s so much to do when you get here. 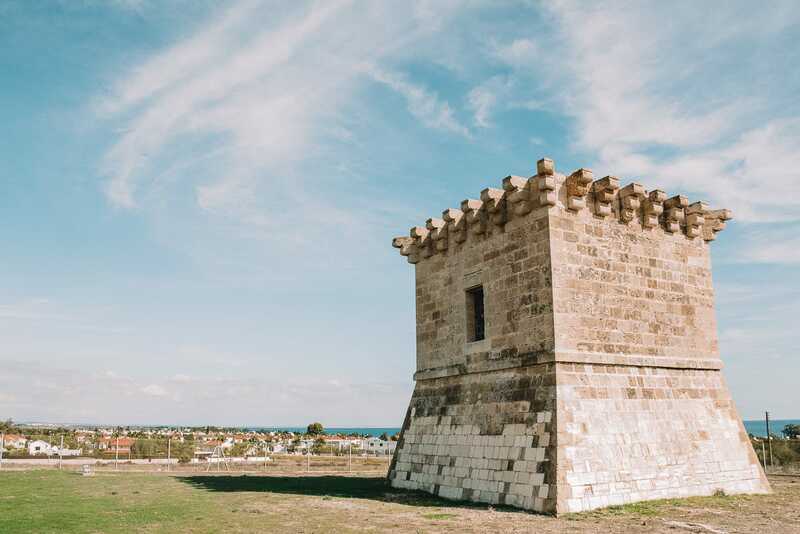 Once you arrive, make sure to visit the Shacolas Tower Museum & Observatory, see the Selimiye Mosque and find the Cyprus Museum. For a tasty bite to eat, pop into To Anamma which has the tastiest food and lovely garden. If you plan to visit the Turkish side of Cyprus (known as the Turkish Republic of Northern Cyprus), then you’ll be able to make the crossing at Ledra Palace, Ledra Street and Agios Dometios. Just remember, if you plan to take your rental car across, rental companies don’t tend to offer insurance cover. This will need to be picked up from another source. Also, just a word of advice if you’re travelling from ‘North’ Cyprus to ‘South’ Cyprus, remember that it’s technically an illegal point of entry. 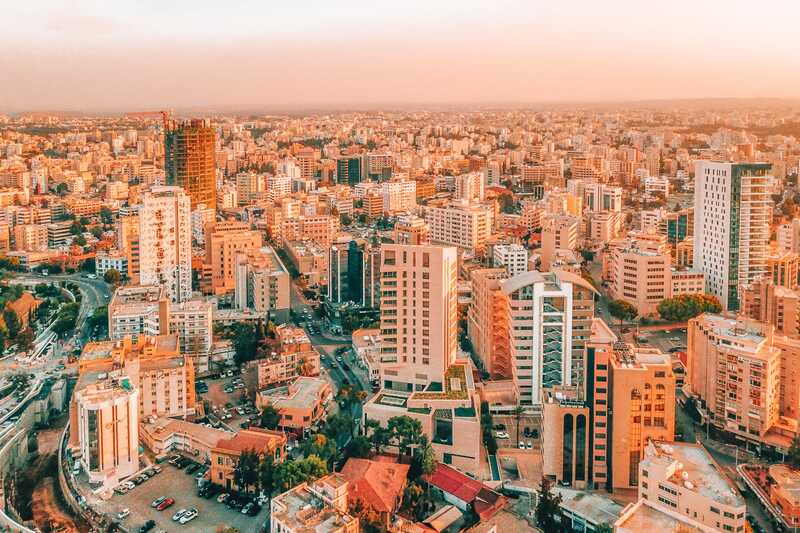 For instance, if you arrive at Ercan airport, it is considered by the Government of the Republic of Cyprus (the south) to have entered Cyprus through an illegal port. Technically, this means they can fine or bar you from entry. You can read more on travelling between the two sides of Cyprus on the UK Government website, here. Perched high in the mountains, Kyperounta is one of the highest villages on the island. Now, Kyperounta is pretty easy to visit if you’re staying in Limassol (about an hour away) and is a lovely little spot to spend an afternoon. Once here, make sure to visit the Winery of Kyperounta and head out on the nature trails that surround the village itself. It’s a great way to get out in the countryside of this gorgeous region. 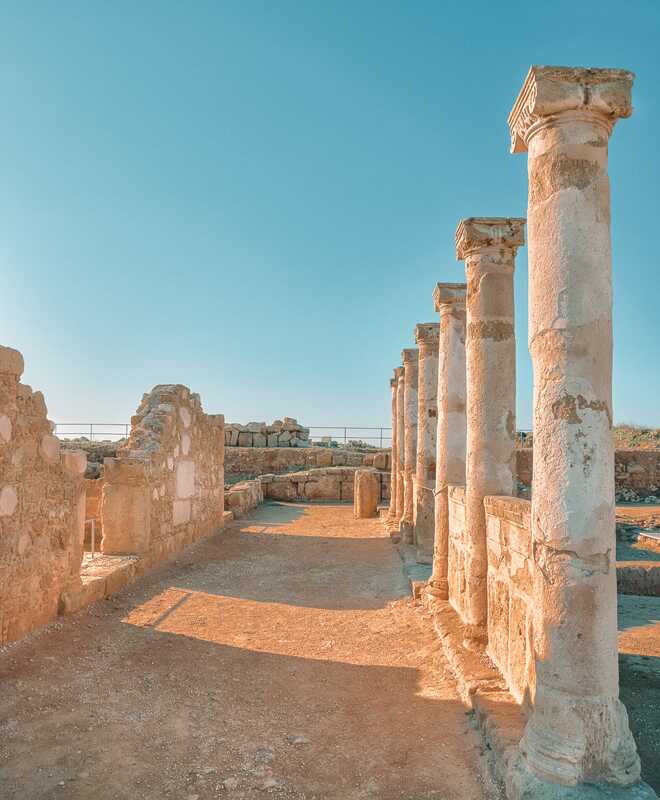 Paphos is easily up there as one of the best places in Cyprus to visit, especially if you want to explore some of the islands long history. 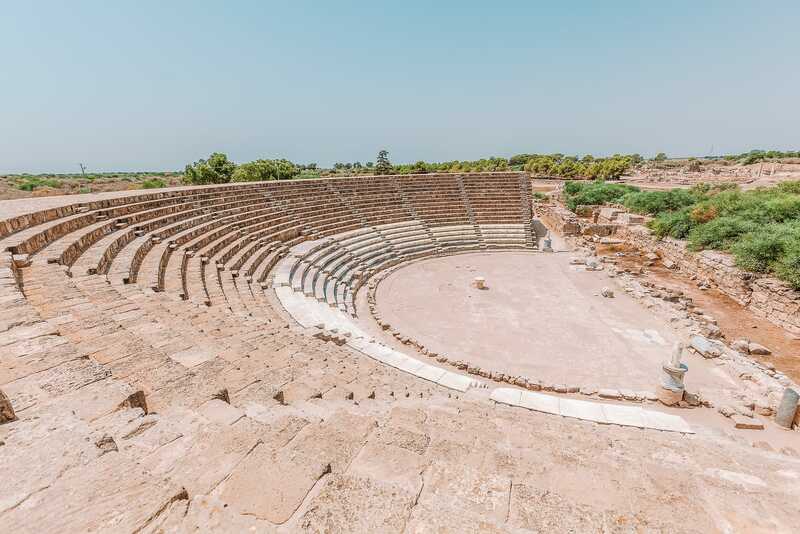 Once here, make sure to explore the anicentOdeon Ruins and Kato Paphos Archaeological Park and make sure to spot the mosaics, amphitheatre and catacombs. Afterwards, pop over to the Tombs of the Kings, visit the Agios Neophytos Monastery and explore the House of Dionysus. 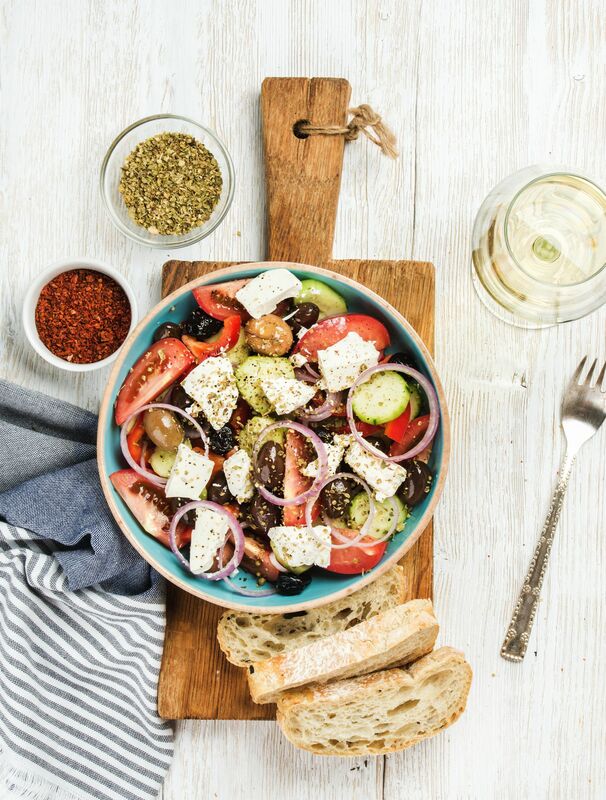 For a tasty bite to eat, pop into the Londos Perasma Restaurant which serves up some of the best Greek food for miles. Plus, make sure to grab some Halloumi whilst you’re here. After all, it’s the national cheese of Cyprus. Yum! 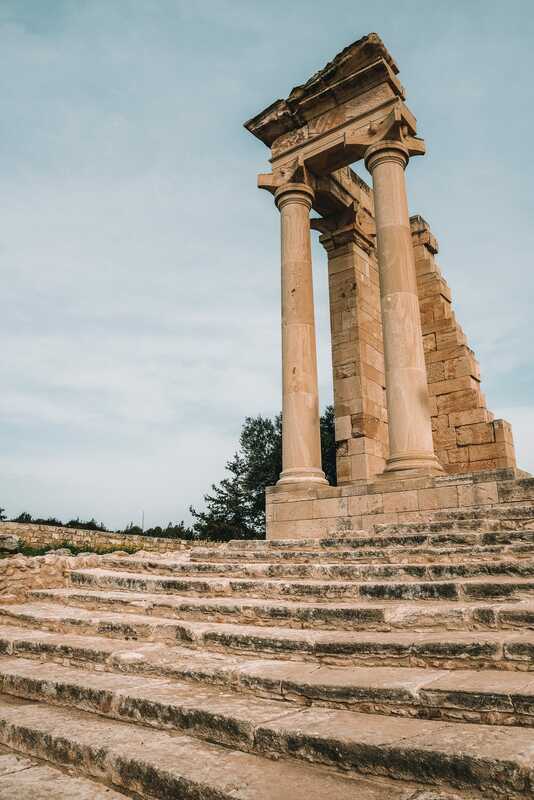 Perched on the east coast of ‘north’ Cyprus, Salamis has a treasure trove of historical sites that easily makes this one of the best places in Cyprus to see. It’s about 7km north of Famagusta and really easy to see once you cross the border (though check here on the rules for border crossings). 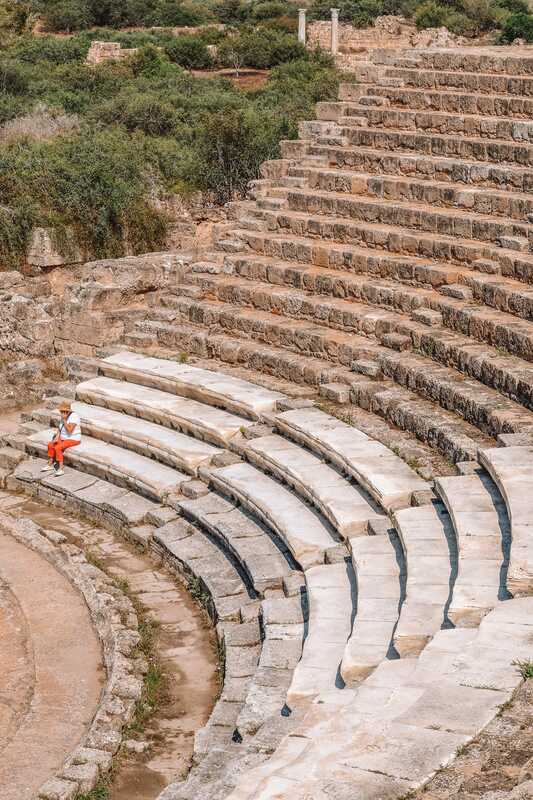 Once here, make sure to explore the Roman amphitheatre, too. Now, if you don’t have a car there are day trips you can take across to Salamis which make the journey pretty simple. This is especially good if your car rental doesn’t insure you to cross the border. Perched on the historic coastal road between the towns of Paphos and Limassol is Kourion. 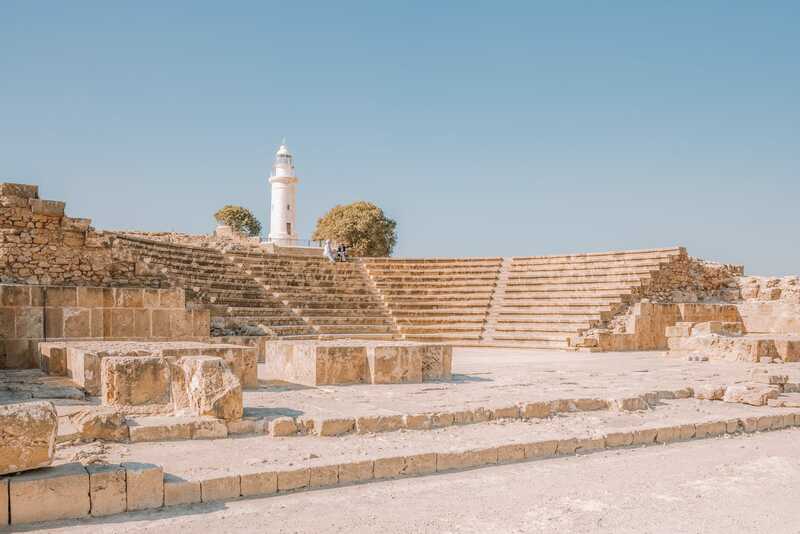 It’s easily one of the best places in Cyprus to visit if you love ancient history. 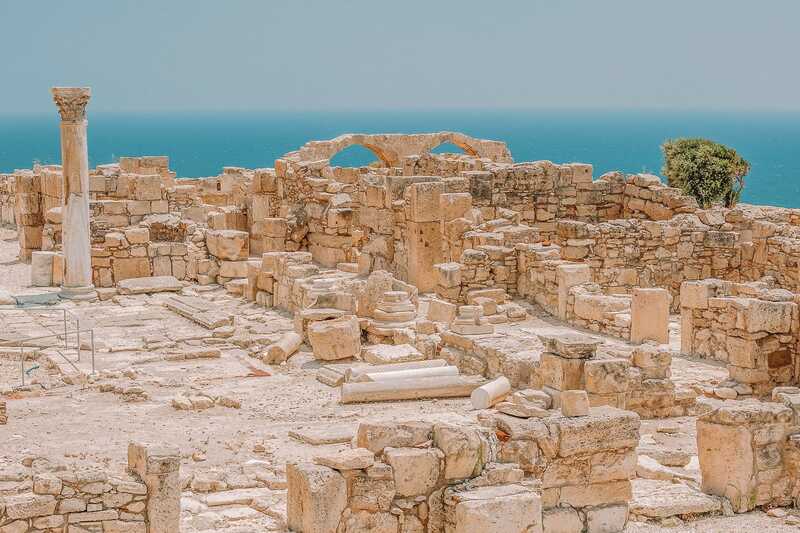 Once here, make sure to wander through the baths, see the Kourion theatre and explore Eustolios House. They really are incredible to see. Oh and don’t forget to see the mosaics inside Eustolios House. The only thing to remember is that it can get busy in the summer months, so plan your visit around the peak times when bus tours arrive. Also, if you’ve got time, make sure to visit the Sanctuary of Apollo Hylates, too.